Bandits numbering about 100 attacked a community in Zamfara at about 10pm on Friday night. No fewer than six persons including a police corporal were on Friday killed by bandits in Gurbin Bore village, Zurmi Local Government Area of Zamfara State, the News Agency of Nigeria (NAN) reports. Confirming the incident to NAN in Gusau on Saturday, the Police Public Relations Officer (PPRO) in the state, SP Mohammed Shehu, said the bandits numbering about 100 attacked the community at about 10pm of Friday night. 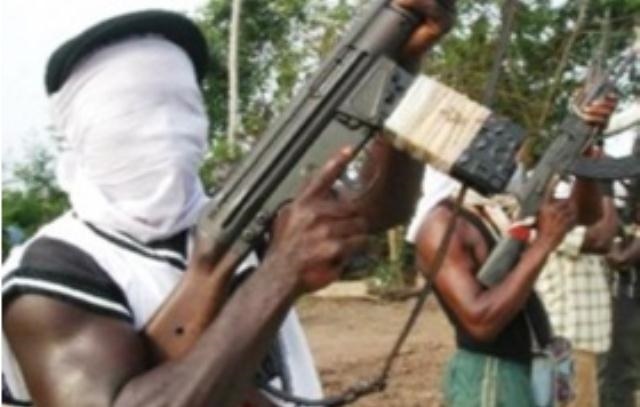 The command spokesman said the bandits who were suspected to have come from Dumburum forest were engaged by a combined team of counter terrorists, comprising police Mobile Force, Federal Special Anti-Robbery Squad (FSARS) personnel stationed in the area, which repelled the criminals. He said, however, that the footpath of the bandits were being trailed in the bushes and assured that the perpetrators would be arrested and brought to book. Similarly, while speaking to journalists on the matter, the Vice Chairman of Zurmi Local Government Council, Alhaji Abubakar Dauran, said a total of 13 shops were burnt while 15 vehicles were set ablaze.